There are wonderful festive events throughout the year in Hong Kong, from the Lunar New Year in the early spring, to Dragon Boat Racing in midsummer, and delicious feasts in autumn, as well as the winter jubilant party, allowing you having uninterrupted fun in a full year. 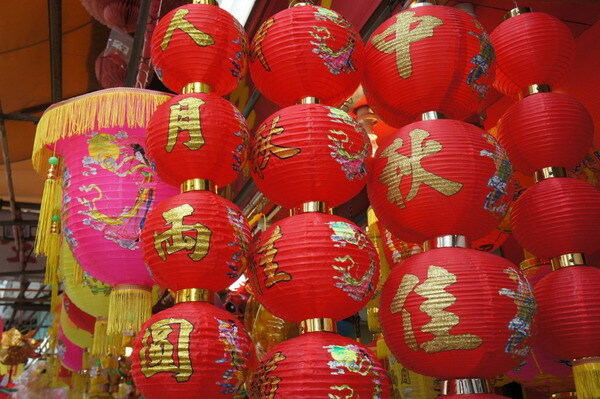 Whether you are squeezing into festive flower markets and incense-filled temples or gasping at breathtaking pyrotechnics, lively sports events and the International Chinese New Year Night Parade, in Hong Kong, your Chinese New Year will be cosmopolitan, festive, traditional, spectacular and unique. May will be a month full of local flavor of traditional festivals: Birthday of Tin Hau, Birthday of Buddha, Birthday of Tam Kung and Cheung Chau Bun Festival, so you feel the authentic culture and folk traditions. Hong Kong’s maritime heritage ensures that Tin Hau, Goddess of the Sea and patron saint of fishermen, has a strong and loyal following here. On her birthday, locals flock to the more than 70 temples dedicated to her in Hong Kong to pray for safety, security, fine weather and full fishing nets during the coming year. So enduring is the reverence for Tin Hau in Hong Kong that this festival is even celebrated by many young people who are more likely to catch a fish in a seafood restaurant than on a trawler. 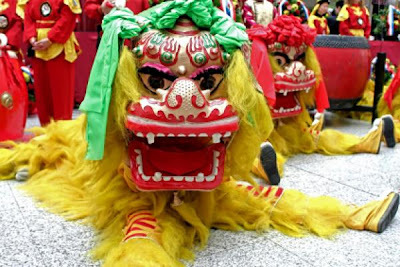 In Shap Pat Heung in Yuen Long, there is a colourful parade of fa pau (floral wreaths), lion dances and a fa pau raffle. 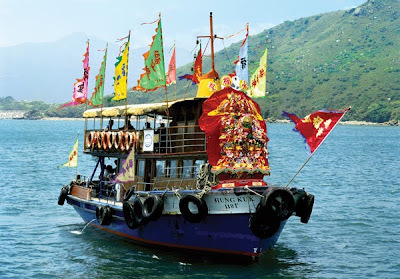 There are also festivities in Sai Kung, where a brightly decorated procession of fishing boats makes its way to the city’s oldest Tin Hau Temple. For the locals, this is the continuation of their customs. The islanders have a strong sense of community and those who have left to work elsewhere will return for this celebration. For the thousands who crowd the ferry boats to the erstwhile pirate haven, this is the spectacular Cheung Chau Bun Festival. The weeklong event includes Taoist ceremonies and music, a parade, lion dances, drum beating and an exciting Bun Scrambling Competition involving a tower of buns. The Birthday of the Buddha (Siddhartha Gautama), the founder of Buddhism, also called the Buddha Bathing Festival, is one of the most spiritual and unique festivals celebrated in Hong Kong. According to legend, nine dragons sprayed water to bathe the baby Buddha at birth. To commemorate this, at Buddhist temples across the city, devotees gather to pay their respects to this revered deity by bathing statues of him in bowls of water. The ritual is believed to aid in the purification of one’s soul. One of the grandest ceremonies is held at the Po Lin Monastery on Lantau Island, home of the Big Buddha. Before and after the Birthday of Buddha, celebrants also eat special green cookies – and if these sound unappetising, that’s because they are. These cookies are deliberately quite bitter, as eating them represents passing through hardship to enjoy better things. Like Tin Hau, the Goddess of the Sea, Tam Kung is revered amongst fishermen and coastal communities; however, the worship of this deity is unique to Hong Kong. Born in the Huizhou prefecture in Guangdong Province during the Yuan dynasty (1206-1368), Tam Kung was capable of forecasting the weather and healing the ill when he was a child. His statue is usually portrayed as an 80-year-old man with the face of a 12-year-old child because he is believed to have achieved wisdom at a young age and learned the secret of remaining forever young. One of the principal events of this festival takes place at the most impressive and oldest Tam Kung temple, which is located in Shau Kei Wan. Here, every year, devotees mark his birthday with an array of ceremonies, including traditional dragon and lion dances and a street parade. Visit Tam Kung’s and other Hong Kong temples by tram. Dragon Boat Race, music festivals, summer sales, as well as book exhibitions, Anime Fair, all in the hottest summer parties and coolest carnival! 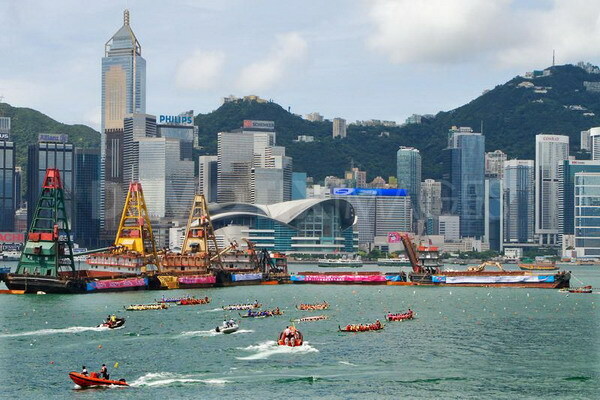 During the annually Hong Kong Dragon Boat Carnival, about 300 Hong Kong International Dragon Boat Club and powerhouse from around 21 countries gathers in Hong Kong. And boats, beers and cheers draw hundreds of thousands of revellers and spectators to stunning Victoria Harbour. 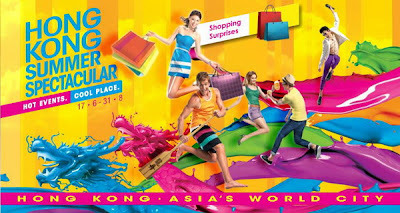 Annual shopping competition, nine teams from mainland China, Hong Kong, Taiwan, Thailand, India, South Korea and other countries and regions to compete for a new generation of “Hong Kong Shopping King” throne. Every summer, the Hong Kong Summer Pop Music Festival gathers top musicians who bring spectacular performances! There are lantern carnivals and fire dragon dance during the mid-autumn festival in Hong Kong, with over one hundred years of traditional fire dragon dancing in the market and the bustling downtown, also creative giant lanterns. 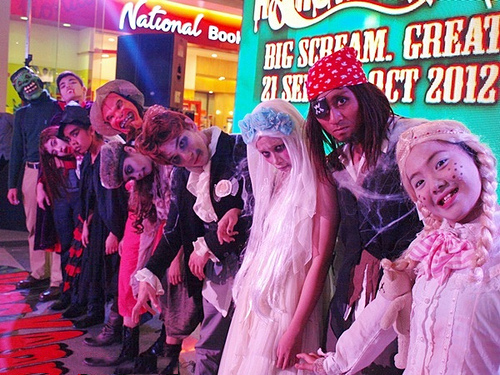 Costume parties, festive entertainment, Halloween drinks and foods, and a unique blend of Western and Eastern cultures makes Hong Kong the Halloween party capital of Asia. So next October, grab your disguise, get on yer broom and head to Asia’s world city for a howling good time! From fiendishly raucous Halloween street parties to elaborate theme park celebrations, there is festive fun for everyone in Hong Kong. Hong Kong Disneyland's Halloween celebrations are unique as this is the only park to really show you the darker side of Disney characters, whether you roam the ghost town of Main Street USA, dance with the damned or cheer on the parade – true to form, Disneyland ensures there are lots of thrills for the whole family in October. Prepared to get thoroughly spooked at Ocean Park at Halloween, where live performers literally jump out of the woodwork amid meticulously designed sound and visual effects. This is also one of the only parties where you’ll see characters from both Eastern and Western horror stories intermingling – a true Hong Kong Halloween. October, when the city is consumed by Halloween fever, is the perfect month for Hong Kong to engage in one of its favourite pastimes -- downing tools, putting aside the usual etiquette and de-stressing at a good old knees-up. One of the most legendary Halloween parties in town is the carnival of freaks and frolics that descends on Hong Kong’s party centre Lan Kwai Fong. No matter where you find yourself in Hong Kong during Halloween, you won’t be able to escape the festive atmosphere. Across the city, shopping malls go to town with holiday decorations, installations, performances and events; and restaurants and bars offer special Halloween menus of festive fare. Just get here and you will be in a Halloween mood in no time. 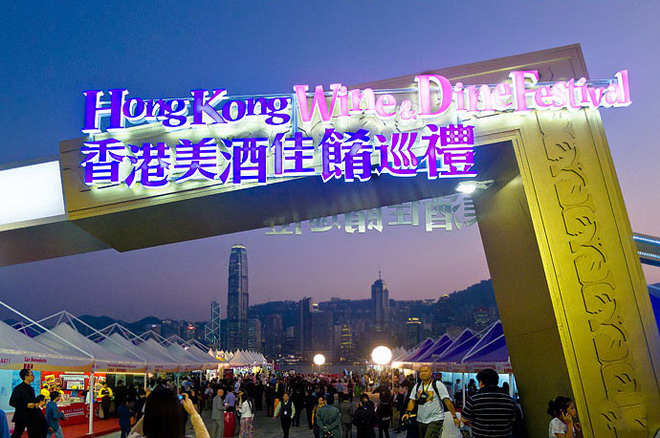 The Hong Kong Wine & Dine Month is an epicurean feast of wine-themed events that has helped establish Hong Kong as the principal place in Asia to enjoy the finer things in life, including wines from around the world paired with the creations of the city’s culinary wizards. Each year, the event has a month-long series of events and promotions, including street carnivals, restaurant wine and dines offers, wine-themed tours, classes and fairs. 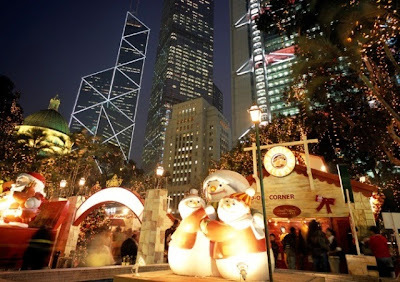 For a unique spin on Christmas festivities nothing beats Hong Kong, where long-held Western traditions mix with the Eastern love of festivals for a cosmopolitan holiday experience. Shopping malls entertained shoppers with carollers, Christmas villages, winter sales and other festivities, while restaurants served up tempting holiday menus. And, to end on a high note, Hong Kong welcomed 2013 with a spectacular pyrotechnics display over the beautiful Victoria Harbour.